Yes, I have my Obama shirt all ready to wear. Check back here at noon pacific time for my contribution to the Birds of Change Giveaway! 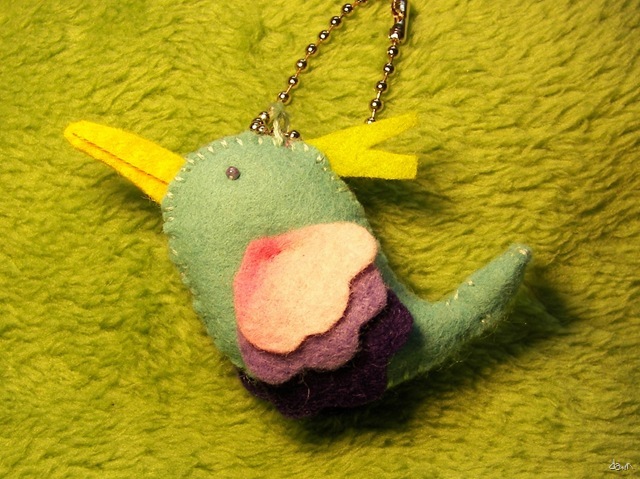 I’ll be giving away a small bird and a craft-a-palooza package of goodies. Details to follow! This little bird can fly to your house if you’d like to adopt her. Just email me at d _ rogal at hotmail dot com with “birds of change” in the subject line and your name and address in the content. Also let me know if you’d like a package of paper-related or fabric-related goodies included with your little bird. The Giveaway will be open until Thursday evening. oh my gosh, that is one cute hummingbird! love it :).